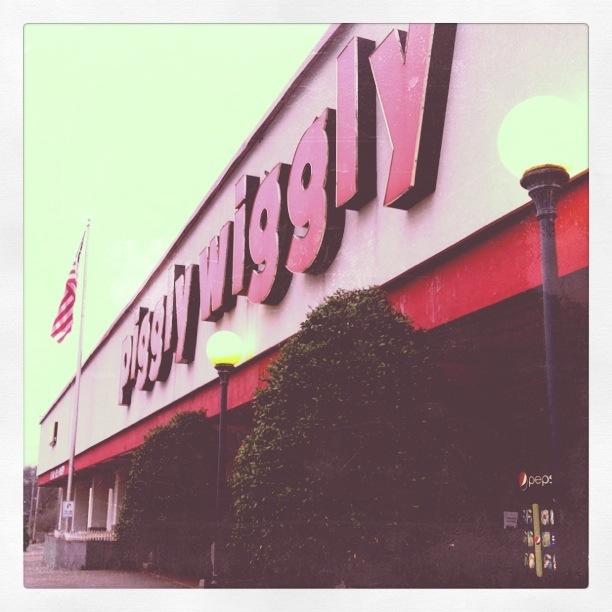 Makin' it in Memphis: Goodbye, Pig. Piggly Wiggly started in Memphis. The one by our house (on Madison) was our go-to for cheap groceries and banking needs (although we would not buy meat there out of general insecurity of the quality). We went to "the Pig" for the last time on Tuesday to hit up the bank. Wednesday and Thursday it changed over to a Cash Saver Cost Plus (but will still be owned by the same people). This may be a good thing overall, but I did love "the Pig", mostly for nostalgia purposes.